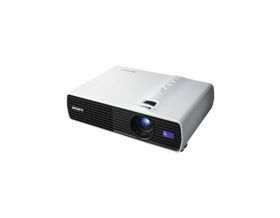 The VPL-DX11 is a compact and portable projector which is simple to operate. 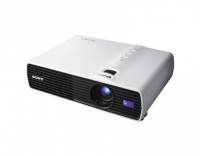 This projector weighs just 2.1kg and has a footprint smaller than an A4 sheet of paper. 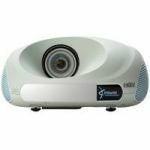 This means it can be easily and quickly carried between meetings, and is ideal for small- to medium-sized rooms including corporate conference rooms and school classrooms. 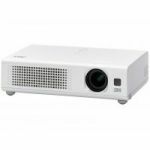 By combining an optical system that incorporates Sony's new and innovative BrightEra technology and a 3LCD projection system, the VPL-DX11 delivers high picture quality in XGA (1024 x 768) resolution and a high brightness of 3000 lumens. 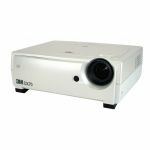 This allows professional presentations to be delivered in virtually any setting and under any lighting conditions. 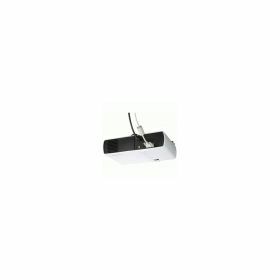 Features include an easy-to-use control panel with all essential controls arranged together on the top of the unit, 'Off and Go' so there is no need to wait for fans to turn off before unplugging from mains power, and 'Quick Re-start' so that it is ready to present again within 5 seconds of an accidental power-down.